The facts given in the following address have been held for many years, until there should be such a general demand for them that they would receive a willing and an unprejudiced ear, and an appreciation in accordance with their merits. Portions of this history have been contributed by this author to the “Mental Healing Monthly,” of Boston, in nearly the same words as here given; and also, some portions to the “Christian Metaphysician,” of Chicago. But this pamphlet includes extracts from the unpublished manuscripts of P. P. Quimby, which appear in no other publication. The foundation principles of what we now term Mental Science are shown by history to have been largely understood by the philosophers of all ages. The philosophy of Plato, who flourished four hundred years before Christ, was essentially one of idealism; and the same idealistic theory is found in different forms of expression set forth by leading thinkers of succeeding generations, notably by Spinoza, and by Bishop Berkeley, in the seventeenth century. But while they mainly agreed that all reality is in the realms of spirit, of which what we see is only an emanation or manifestation, they all failed to apply their views to the healing of disease. Of those who had this understanding previous to our time, only Jesus and his disciples applied it to relieving human ills; all others devoted their teachings simply to modifying and forming character. Coming down to this nineteenth century, we find Ralph Waldo Emerson’s writings tilled and permeated with the idealistic theory, and running over with the belief of an omnipresent Goodness as the substance of all things, with here and there a hint that the so-called “ills that flesh is heir to” may be eradicated as errors when held up to the light of truth, the same as can moral evils. But the first person in this age who penetrated the depths of truth so far as to discover and bring forth a true science of life, and openly apply it to the healing of the sick, was Phineas Parkhurst Quimby, of Belfast, Me. I am well aware that with some people this is a disputed point, they respecting the claims of certain others; but I have been requested, by many persons interested in this history, to say what I know about it, and, believing that the time has come to do so, I shall now give you a series of facts, and you can judge of them for yourselves. The first that I knew of P. P. Quimby was in June, 1860, when I went to him as a patient, in Portland, Me. This was five and a half years before his death. 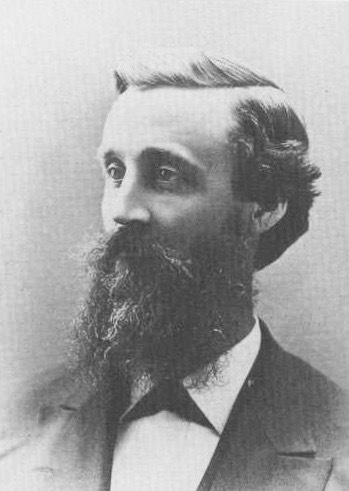 He had then, 1860, been in the regular practice of mental healing for many years, in different towns in Maine, and had been located in Portland about two years. There was at that time, 1860, no one else in the practice in New England, nor in this country, nor in the world, so far as was then known, or has since been heard of; nor was there at that time any one else who understood it as a science, he having been the discoverer and founder, as I think I shall show you. He had then, 1860, been at work twenty years in this field of investigation and discovery and ultimate practice, which carries his first investigations back to the year 1840. The question may be asked, “Was Quimby ever a mesmerist?” I reply that he was, for a limited time, and for purposes of experiment and investigation. The truth came to him, not as a revelation pure and simple, but as the result of practical experiment and patient research among the phenomena of life, urged on by the impulses of an active, inquiring, comprehensive mind. I have seen extracts from newspapers as far back as 1842-3, giving accounts of his public exhibitions of mesmerism, in some of which newspaper accounts he was rated with a few others in this country and Europe who were the leading mesmerizers in the world. Dr. Quimby had been a watch and clock maker for some years, when mesmerism attracted his attention. These are Dr. Quimby’s own words, and any one can see that they mean a purely mental treatment, for he speaks of what the patient thinks is his disease and calls it his error, by saying that if he succeeds in correcting the patient’s errors, he then establishes the truth, and the truth is the cure. You see from this that he had discovered that disease was an error of mind, and nothing else, and the God-power of truth which he had discovered in man, being set up again in the victim of disease, destroyed the error or disease, and reestablished the harmony. “Can a theory be found capable of practice, which can separate truth from error? I undertake to say there is a method of reasoning, which, being understood, can separate one from the other. Men never dispute about a fact that can be demonstrated by scientific reasoning. Controversies arise from some idea that has been turned into a false direction, leading to a false position. The basis of my reasoning is this point, that whatever is true to a person, if he cannot prove it, is not necessarily true to another; therefore, because a person says a thing is no reason that he says true. The greatest evil that follows taking an opinion for a truth, is disease. Let medical and religious opinions, which produce so vast an amount of misery, be tested by the rule I have laid down, and it will be seen how much they are founded in truth. For twenty years I have been testing them, and I have failed to find one single principle of truth in either. This is not from any prejudice against the medical faculty, for when I began to investigate the mind, I was entirely on that side. I was prejudiced in favor of the medical faculty, for I never employed any one outside of the regular faculty, nor took the least particle of quack medicine. “Some thirty years ago I was very sick, and was considered fast wasting away with consumption. At that time I became so low that it was with difficulty I could walk about. I was all the while under the allopathy practice, and I had taken so much calomel that my system was said to be poisoned with it, and I lost many of my teeth from that effect. My symptoms were those of any consumptive, and I had been told that my liver was affected, and my kidneys were diseased, and that my lungs were nearly consumed. I believed all this, from the fact that I had all the symptoms, and could not resist the opinions of the physician while having the proof with me. In this state I was compelled to abandon my business, and losing all hope, I gave up to die. Not that I thought the medical faculty had no wisdom, but that my case was one that could not be cured. ” When I commenced to mesmerize, I was not well, according to the medical science, but in my researches I found a remedy for my disease. Here was where I first discovered that mind was matter, and capable of being changed. “Also, that disease being a deranged state of mind, the cause I found to exist in our belief. The evidence of this theory I found in myself, for like all others I had believed in medicine. Disease and its power over life, and its curability, are all embraced in our belief. Some believe in various remedies, and others believe that the spirits of the dead prescribe. I have no confidence in the virtue of either. I know that cures have been made in these ways. I do not deny them. But the principle on which they are done is the question to solve, for disease can be cured, with or without medicine, on but one principle. I have said I believed in the old practice, and its medicines, the effect of which I had within myself; for, knowing no other way to account for the phenomena, I took it for granted that they were the result of medicine. “With this mass of evidence staring me in the face, how could I doubt the old practice? Yet, in spite of all my prejudices, I had to yield to a stronger evidence than man’s opinion, and discard the whole theory of medicine, practiced by a class of men, some honest, some ignorant, some selfish, and all thinking that the world must be ruled by their opinions. “Now for my particular experience. I had pains in the back, which they said were caused by my kidneys, which were partially consumed. I also was told that I had ulcers on my lungs. Under this belief, I was miserable enough to be of no account in the world. This was the state I was in when I commenced to mesmerize. On one occasion, when I had my subject asleep, he described the pains I felt in my back (I had never dared to ask him to examine me, for I felt sure that my kidneys were nearly gone), and he placed his hand on the spot where I felt the pain. He then told me that my kidneys were in a very bad state; that one was half consumed, and a piece three inches long had separated from it, and was only connected by a slender thread. This was what I believed to be true, for it agreed with what the doctors told me, and with what I had suffered, for I had not been free from pain for years. My common-sense told me that no medicine would ever cure this trouble, and therefore I must stiffer till death relieved me. But I asked him if there was any remedy? He replied, ‘ Yes, I can put the piece on so it will grow, and you will get well.’ At this, I was completely astonished, and knew not what to think. He immediately placed his hands upon me, and said he united the pieces so they would grow. The next day he said they had grown together, and from that day I never have experienced the least pain from them. This account from Dr, Quimby himself, settles many things. First, it gives in detail one of the many experiences by which he discovered this truth. It shows, also, the practical nature of the man’s mind, and illustrates his wonderful perceptive powers. And the article shows that no one could have written it but himself; and it shows, too, that what he arrived at was the knowledge that disease is nothing but an error of belief, to be corrected by the truth. On this basis he practiced ever afterwards. How could he do otherwise, after making such a discovery? And this discovery was made about forty-five years ago, All these facts can be fully substantiated by consulting certain back newspaper files, and certain other persons who are familiar with it all. And this theory, that disease is an error of belief to be corrected by the truth, not only formed the basis of a science of health which Dr. Quimby introduced, but in various delineations it is the subject of voluminous manuscripts which he wrote, besides copious other writings upon a true science of life and happiness ; and others in which he explained and defended Christ’s sayings, his gospel and his work. He also wrote upon the true standard of law, and of government, and upon other topics. All these writings I have read, being in the confidence of Mr. Geo. A. Quimby, the son, who holds them; and I can testify that no such depth of understanding has yet seen the light, in print, as those manuscripts contain. This son was with his father as secretary, during the father’s last five years of practice, and the father hoped that his son would take up the practice with him, and succeed him, but he took a different turn, and is a manufacturer. I think I can see a wisdom in nearly everything. If those writings had been published, as Dr. Quimby intended, in his day, or even at any time since, previous to now, they would have found a public unprepared for them. Therefore they are in the hands of a person whose sympathies are not stirred by a work in the truth, as some of ours are to issue them before their time. But those manuscripts will be published at a future day. The present owner of them is not troubled in the least, nor am I, that such misstatements, to call them by no worse name, as have appeared in certain printed publications, belying and belittling Dr. Quimby and your speaker; nor by the efforts to show that Dr. Quimby’s manuscripts were written by somebody else. We have only pity for a person who would make such misstatements, for a purely selfish purpose. You have heard or read of Haman’s gallows, which he built for Mordecai, the Jew, and how they finally hung only the builder himself! P. P. Quimby’s writings when published will speak for themselves, and his friends know it perfectly. They pay no attention to what is said or done by others, any more than your speaker does. One more point of a personal nature, and I pass on to more general facts. I have been blamed many times by persons for so long withholding the facts I now make public, together with much more that I shall not mention at this time. The reply that myself and wife have always made was, that we wished to pursue our work in the truth in the true spirit of that truth, which is charity and love, and this did not lead us to say aught against another, nor even to reply to unjust aspersions upon ourselves or P. P. Quimby. We knew that some time the facts would be called for by supporters of the truth, and then, if we felt the time had come, we would give them, and in so doing, the relation of the facts would be seen plainly to be done only for the truth’s sake, and in its true spirit. But, said some, people are being deceived constantly. We replied that we knew it, but that very many things were allowed by an overruling Providence to go on in this world which seemed to need correction, and we were not running this world nor the universe, and we were more particular to see that we discharged our own immediate duties and what little good we might do, to the best of our ability, and in the spirit of love, than we were to follow the prevailing human custom of taking upon ourselves the assumed work of correcting errors that other people were falling into. I acknowledge that our course has been open to criticism on this one point; but, dear friends, we have waited “with malice toward none and charity for all” for your call for these facts, and now we can give them because they are wanted, and not because of any pleasure it might be said we had in doing it, for that phase of this relation which constitutes unavoidable reflection upon others is only painful, and I have avoided it as much as possible in giving this account, and have therefore left out a great deal of detail that might otherwise have been included, and have made no replies at all to the many unjust and false statements that have been published and circulated about P. P. Quimby and myself. No one has been really injured as a result of our reticence, I trust, and certainly we have not suffered in any respect, except one, and that is that persons have said, and others have thought, that because we made no replies to anything, that there were none that we could make, and therefore all claims and statements of others were true. Do you remember the words of the apostle: “Charity suffereth long, and is kind ; is not easily provoked, thinketh no evil, rejoiceth not in iniquity, but rejoiceth in the truth; charity never faileth “? Such is the spirit of the kind of truth that I learned from P. P. Quimby, and the kind that he himself practiced. And his spirit of love so opened his soul to the God-power that his works were marvellous. The quick cures that he brought about have not been equalled by any one else since his time, that I know of. Myself and wife have owed our lives to him for nearly twenty-seven years past, and to the truth he revealed to us. Thousands of others could make a similar testimony; but I prefer not to occupy time with relating his cures. The man himself never desired publicity; the truth itself and the good of humanity were the first and last considerations with him. He even had no fixed name for his theory or practice, desiring to be known only by his fruits. He sank the individual wholly in the cause of truth and the good of humanity. It is the intention of your speaker to so relate this history as to avoid any appearance of fulsome praise, because the man Quimby would not desire it, and it is my aim only to relate plain facts in a plain manner, and I request you therefore to consider no statement herein as overdrawn. Your attention is called to one important fact, and that is, that the kind of individual I am describing in the person of P. P. Quimby, is the kind who can make discoveries of truth, if any one can ; that is, a mind of great capabilities, coupled with great humility and extreme unselfishness. This is the kind of a medium that God speaks through, because such a soul is open to his inspirations. On the other hand, a selfish soul, who seeks personal aggrandizement, is not open to revelations of much moment, because selfishness always blinds one, the truth does not flourish in such a soil. P. P. Quimby’s perceptive powers were something remarkable. He always told the patient, at the first sitting, what the latter thought was his disease; and as he was able to do this, he never allowed the patient to tell him anything about his case. Quimby would also continue and tell to the patient what the circumstances were which first caused the trouble, and then explain to him how he fell into his error, and then from this basis prove to him, in many instances, that his state of suffering was purely an error of mind, and not what he thought it was. Thus his system of treating diseases was really and truly a science, which proved itself. You see, also, from these statements, how he taught his patients to understand, and how persons who went to him for treatment were instructed in the truth, as well as restored to health. In this way some persons became especially instructed, as did your speaker. The persons referred to also obtained many private interviews with him, for further instruction in the truth. The question has often been asked, by persons who had gotten some idea of the truth, how Dr, Quimby, who was a man of such power and understanding, came to die? Herein lies a story of his unselfishness. The man was overrun with patients for many years, and he was alone in the work. There is always a limit to finite endurance, and his heart was too large to enable him to refuse people whom he might help out of their sufferings when they applied to him. During those years when his office was in Portland, his home and family being always in Belfast, he was compelled once in four or six weeks to get away from the pressing tide of humanity, and go home to Belfast, privately, and rest for three or four days. He sometimes would say to those nearest him, that if he ever should allow himself to get so far exhausted as not to be able to recover himself, there was no one to help him, and he would be compelled to go out. But, though he never expected to overdo to that extent, it is just what happened. In brief, he laid down his life for the sick, and died in their cause at the age of sixty-five years, twenty-one years ago. Nearly all in those days, who were willing to try a practitioner outside of the medical schools, were persons who had exhausted every means of help within those schools, and when finally booked for the grave, they would send for or go to Quimby. As he expressed it, they would send for him and the undertaker at the same time, and the one who got there first would get the case. Consequently, his battle with error, alone and single-handed, was a hard one, especially as in those days there was much less liberality than now. Some may desire to ask if, in his practice, he ever in any way used manipulation? I reply that, in treating a patient, after he had finished his explanations, and the silent work, which completed the treatment, he usually rubbed the head two or three minutes, in a brisk manner, for the purpose of letting the patient see that something was done. This was a measure of securing the confidence of the patient, at a time when he was starting a new practice, and stood alone in it. I knew him to make many and quick cures at a distance sometimes with persons he never saw at all. He never considered the touch of the hand as at all necessary, but let it be governed by circumstances, as was done 1800 years ago. But, dear friends, I do not wish you to rely upon my statements alone for the facts of this history, and of this man’s character, his discoveries, and his works. To what has already been given from the words of others, still further testimonies may be added. That able writer upon Mental Science, Dr. W. F. Evans, pays the following tribute to Quimby, is his second volume, entitled ” Mental Medicine.” He says: “Disease being in its root a wrong belief, change that belief, and we cure the disease . . . . The late Dr. Quimby, of Portland, one of the most successful healers of this or any age, embraced this view of the nature of disease, and by a long succession of most remarkable cures . . . . proved the truth of the theory. . . . . Had he lived in a remote age or country, the wonderful facts which occurred in his practice would have now been deemed either mythical or miraculous. He seemed to reproduce the wonders of the gospel history,” Dr. Evans obtained this knowledge of Quimby mainly when he visited him as a patient, making two visits for that purpose, about the year 1863, an interesting account of which I received from him, at East Salisbury, in the year 1876. Dr. Evans had been a clergyman up to the year 1863, and was then located in Claremont, N. H. But so readily did he understand the explanations of Quimby, which his Swedenborgian faith enabled him to grasp the more quickly, that he told Quimby at the second interview that he thought he could himself cure the sick in this way. Quimby replied that he thought he could. His first attempts on returning home were so successful that the preacher became a practitioner from that time, and the result has been great growth in the truth and the accomplishment of a great and a good work during the nearly twenty-five years since then. Dr. Evans’s six volumes upon the subject of Mental Healing have had a wide and a well-deserved sale. Amongst those who were friends as well as patients of Quimby during the years from 1860 to 1865, and who paid high tributes to his discoveries of truth, and the consequent good to many people and to the world, was one who, for some strange reason, afterwards changed and followed a different course, with which you all are more or less familiar. I refer to the author of the book ” Science and Health. “As she had, during several years, special opportunities to know the man and to learn truth of him, this record would he incomplete without including her testimony at that time. Fortunately, it can be given in her own words and you can form your own estimate of them. The proof that they are her own words, and also that the statements of this lecture are correct, may be obtained by addressing Mr. Geo. A. Quimby, of Belfast, Me., and also other persons whose names I will furnish on application. “Three weeks since, I quitted my nurse and sick-room en route for Portland. The belief of my recovery had died out of the hearts of those who were most anxious for it. With this mental and physical depression I first visited P. P. Quimby, and in less than one week from that time I ascended by a stairway of one hundred and eighty-two steps to the dome of the City Hall, and am improving ad infinitum. To the most subtle reasoning, such a proof, coupled, too, as it is with numberless similar ones, demonstrates his power to heal. Now for a brief analysis of this power. “Is it Spiritualism? Listen to the words of wisdom. ‘Believe in God, believe also in me ; or believe me for the very work’s sake.’ Now, then, his works are but the result of superior wisdom which can demonstrate a science not understood; hence, it were a doubtful proceeding not to believe him for the work’s sake. Well, then, he denies that his power to heal the sick is borrowed from the spirits of this or another world ; and let us take the Scriptures for proof. ‘A kingdom divided against itself cannot stand. ‘How, then, can he receive the friendly aid of the disenthralled spirit, while he rejects the faith of the solemn mystic who crosses the threshold of the dark unknown to conjure up from the vasty deep the awestruck spirit of some invisible squaw? Lines on the death of Dr. P. P. Quimby, who healed with the truth that Christ taught, in contradistinction to all isms. Had paid to error her last sacrifice? Can we forget the power that gave us life? Shall we forget the wisdom of its way? Oh, that in an evil hour she had never been tempted to erase the sentiments of that poem, which was not an overwrought tribute to the memory of our much-loved friend! But let that charity which rejoiceth not in iniquity, but rejoiceth in the truth, and never faileth, not fail even here; for we have the truth to rejoice in; this truth which P. P. Quimby brought forth, and for years labored so unceasingly to give it to the world, and finally laid down his life in its cause, – this glorious truth is still blessing us, and it will do so more and more unto the perfect day. It is a revelation of truth that makes us free indeed! And we have only to set aside self-love and self-glory and work earnestly in this cause, by every word and deed of love that opportunity offers, to find ourselves growing gradually into all wisdom and understanding, and out of and away from every ill and every form of unhappiness in existence. “Every disease is the invention of man, and has no identity in wisdom; but to those who believe it, it is a truth. If everything man does not understand were blotted out, what is there left, of man? Would he be better, or worse, if nine tenths of all he thinks he knows were blotted out of his mind, and he existed with what is true? “I contend that he would, as it were, sit on the clouds and see the world beneath him tormented with ideas that form living errors, whose weight is ignorance. Safe from their power he would not return to the world’s belief for any consideration. “I hear this truth now pleading with man, to listen to the voice of reason. I know from my own experience with the sick that their troubles are the effect of their own belief; not that their belief is the truth, but their beliefs act upon their minds, bringing them into subjection to their belief, and their troubles are a change that follows.